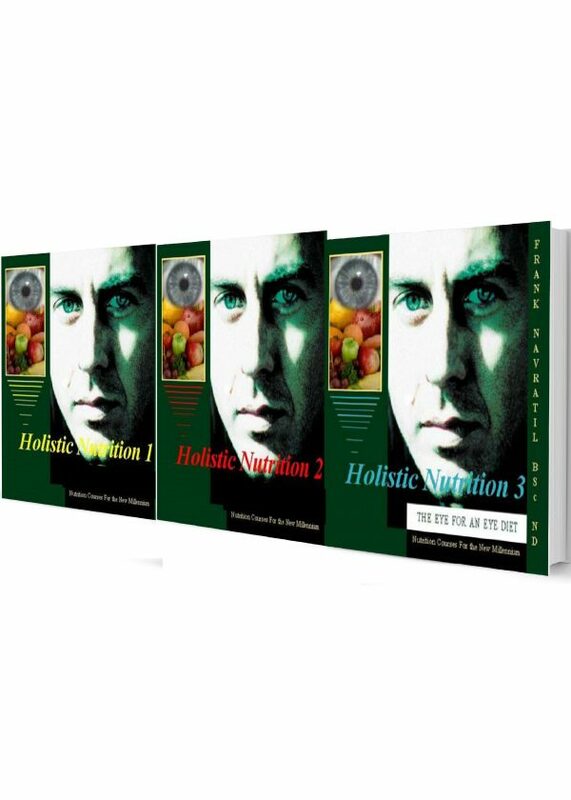 The Holistic Nutrition Complete Certification course is a series of three interactive downloadable courses by Frank Navratil BSc. N.D., a world-renowned author, iridologist, naturopath, and clinical nutritionist. The Holistic Nutrition course guides the beginner to advanced nutrition student or natural therapy practitioner through step-by-step theory, practical and written assignments, charts and diagrams, automatically correcting self-tests and term exams. Whether you are a healthcare practitioner or just a layperson, whether you just want to lose weight, cure your disease through nutrition, or just want to learn more about how to stay healthy and prevent disease from occurring, these courses allow you to learn about nutrition in an easy, unique and interactive way.